ESPN is looking for eager, hard-working and cooperative interns to support its policy & programs department and director. If you have these qualities, then you can apply for ESPN Internship programs. ESPN is a U.S. based global cable and satellite sports television channel owned by ESPN Inc., a joint venture owned by The Walt Disney Company and Hearst Communications. Explore the different entry-level career paths available to you at ESPN. ESPN provides tremendous opportunity to gain invaluable work experience during your college break or after graduation. 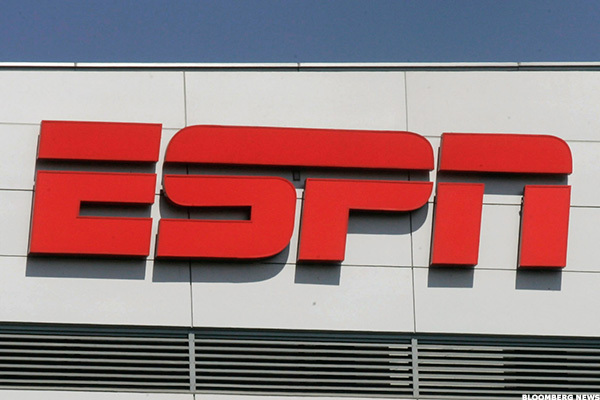 In our list, you can find the best ESPN’s internships for your bright future. Good Luck!! ESPN offers its ESPN iOS Mobile Engineer Intern program fall 2018. To be a part of this internship program, applicants should be junior, senior, graduate level student or recent graduate or pursuing a bachelor’s or master’s degree in computer science, computer engineering, management information systems or related field. As an ESPN IOS engineering intern, you will gain an understanding of how various departments within ESPN – product, design, and technology – work together to create a seamlessly integrated product. ESPN is pleased to announce its unique internship program named as ESPN Software Engineer Intern Fall 2018. To be considered for this program, candidates should be junior, senior, graduate level student or recent graduate or pursuing a bachelor’s or master’s degree in computer science, computer engineering, management information systems or related field. This is a great opportunity to see your work in the wild delivering top quality products consumed by millions. ESPN welcome students to join its exciting internship program named as ESPN Mobile Software Engineering Intern – Fall 2018. The internships are open to those candidates who are junior, senior, graduate level student or recent graduate or pursuing a bachelor’s or master’s degree in computer science, computer engineering, management information systems or related field. As an ESPN mobile software engineering intern, you will work directly with a senior-level engineer to design, architect, and develop one or more of these features. ESPN is currently seeking creative, results oriented applicants who thrive in a fast-paced, innovative environment for its HR Business Partner Intern program fall 2018. To be eligible, candidates should have bachelor’s degree. This role will be responsible for supporting the HR needs while supporting partnering with Sr. Director, Director – HR Business Partner specifically for sales & marketing and international client group. Are you interested in software engineer field and want to establish your career as a software engineer? Then you don’t need to worry!! ESPN is now offering its ESPN Front End Software Engineer Intern program fall 2018. To be eligible, applicants must be junior, senior, graduate level student or recent graduate or pursuing a bachelor’s or master’s degree in computer science, computer engineering, management information systems or related field. As a software engineer – Intern focused on front-end engineering at ESPN. In addition, you will help build and maintain web applications that serve and excite sports fans across the globe. Do you have interest in video editing and looking for an ideal career opportunity? If yes, then we have got a great news for you!! ESPN is now providing its Video Editor Intern program fall 2018. To apply, candidates must have minimum of four years of editing or related experience, or related work in a large market or network level television. The Video Editor is expected to be a team player who collaborates amongst various teams while operating at a proficient level. ESPN is currently looking for self motivated, highly confident individual for its Senior Security Specialist Intern program for the academic year 2018. The internships are open to those candidates who have high school diploma or equivalent. Applicants also must have minimum of three years of security or law enforcement experience. As a senior security specialist intern, you will perform core rover duties including campus rounds, break coverage, building inspection, perimeter patrol and more. ESPN is delighted to announce its amazing internship program named as Security Associate Intern fall 2018. To be considered for this program candidates should have high school diploma or equivalent. As a security associate intern, you will greet, screen, and direct all visitors following the established procedures.